Medical marijuana has not made it onto the Republican platform for 2016, despite the efforts of some GOP delegates. Eric Brakey, a legislator from Maine, brought the medical marijuana measure to the GOP Platform Committee where it sparked a very heated debate. 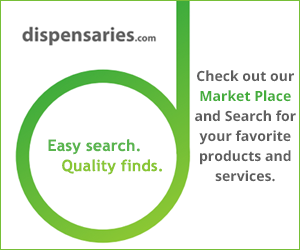 Supporters of medical marijuana cited the many ways that medical marijuana has improved the lives of millions of patients. This included children who “are being saved” by cannabis-based medical treatments that provide relief that no other medicine can. Opponents of the medical marijuana measure were very vocal, with some bold claims for why medical marijuana should not be allowed. One delegate claimed that mass murderers are “young boys from divorced families, and they’re all smoking pot.” Another said that there is a link between marijuana and mental health issues. However, the delegate did not provide the study to support this claim. From claims that marijuana cause schizophrenia to relating the heroin epidemic to early marijuana use, marijuana opponents in the GOP made some wild points during the course of the debate. When a delegate pointed out that opponents seemed to be missing the point of the benefits of medical marijuana, some voters seemed to change their minds. After the voice vote was called, the chair of the Platform Committee could not tell whether or not the measure passed. After the second vote, it was decided that medical marijuana would not be part of the party’s platform for 2016. Though the Republican Party is not getting behind medical marijuana, their presidential nominee has different opinions about marijuana legislation. Donald Trump has vocally supported legalizing medical marijuana on more than one occasion. This may be in part why marijuana business owners are more in favor of Hillary Clinton as a presidential nominee, according to a recent poll. The poll by Marijuana Business Daily found that 43% of respondents from the cannabis industry support Clinton while about 26% support Trump. While Trump has not laid out specific medical marijuana plans, Clinton supports rescheduling cannabis from a schedule I to schedule II drug to lessen the number of medical restrictions on medical marijuana research.